Surface Preparation – Super Stone, Inc. 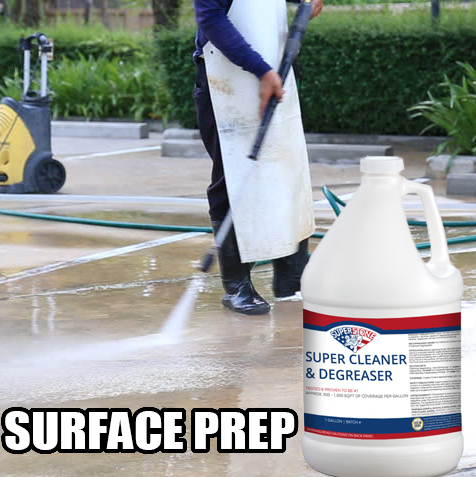 Surface prep is the most crucial step in all decorative concrete applications. Most application failures directly related to preparation short cuts. Here are some of the most common issues and how to avoid them. Do not prepare your surface using a garden hose! While the surface may appear clean, overlays, stains, and sealers perform best when the pores of the surface are open. Never acid clean prior to performing an acid stain project! The reaction from the acid will chemically change the concrete’s pH. The pH in the concrete surface is how acid stains achieve their unique appearance and effects. If the pH is already triggered from an acid cleaning, the acid stain will not perform properly. Repair your cracks! A crack will come through an overlay or textured surface without proper crack repair. Proper, in this case, is defined by opening up the cracks with a crack chasing blade on an angle grinder, using the Crack Repair Kit from Super Stone, and following the directions. 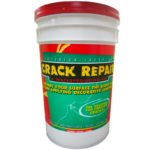 Cracks cannot be repaired by simply troweling a thin concrete material similar to spackle on a wall. In addition, try to discover the cause of the crack. Ask yourself, Is it a root? Is it from settling? Is it finished settling? Should the root be removed? The answers to these questions will help you explain to your customer what the expectations are for completely resolving the crack issue. Do not take short cuts! Ignoring or short-cutting the preparation and proper crack repair procedures may lead to that heart dropping, throat-swelling moment when the customer points and asks you, “What’s that?” And, you will have no reply. 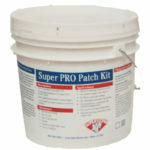 Super Stone has a full line of products to properly prepare your surface. Click on a product to learn more.